Most people are aware of Remarketing now, we’ve all experienced it. You visit a retailers website and looked at a product. Ten minutes later everywhere you visit on the Internet you see Ads with images of the product you just looked at – trying to entice you to return to the retailer site and complete the purchase. What you may not be aware of though, is that AdWords allows a different form of retargeting through the search interface itself. Rather than seeing images though, this is slightly more subtle – it allows an advertiser to raise their bids for searches performed by a previous visitor to their website. Again to try and entice you to return and complete a purchase. It’s fairly straightforward to setup but there is one step which is quite simply the EASIEST way to completely screw up your AdWords campaign. The deadly TARGET v TARGET & BID setting. Firstly you need to setup an Audience, or preferably multiple audiences. The easiest way to do this is in Google Analytics which you should have linked to AdWords (you REALLY should have them linked). 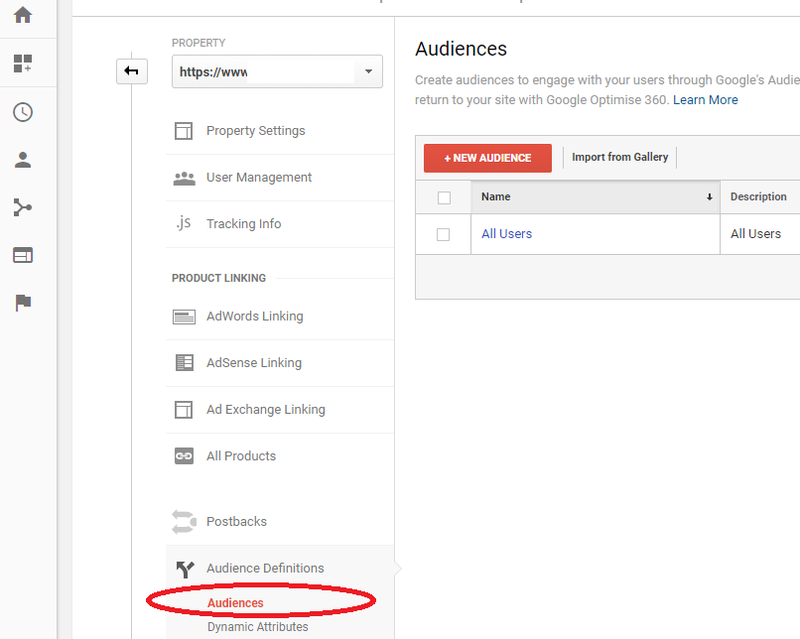 Then find Audiences and click the red button +NEW AUDIENCE. GA will add the first one for you, but you can build lists of them to include visitors to certain pages, visitors who never bought, visitors who stayed over a certain time or combinations of the above. The only thing to be careful of is that the Audience needs to be a 100+ to start serving Ads, so drill too deep and you may find your Ads are never displayed. 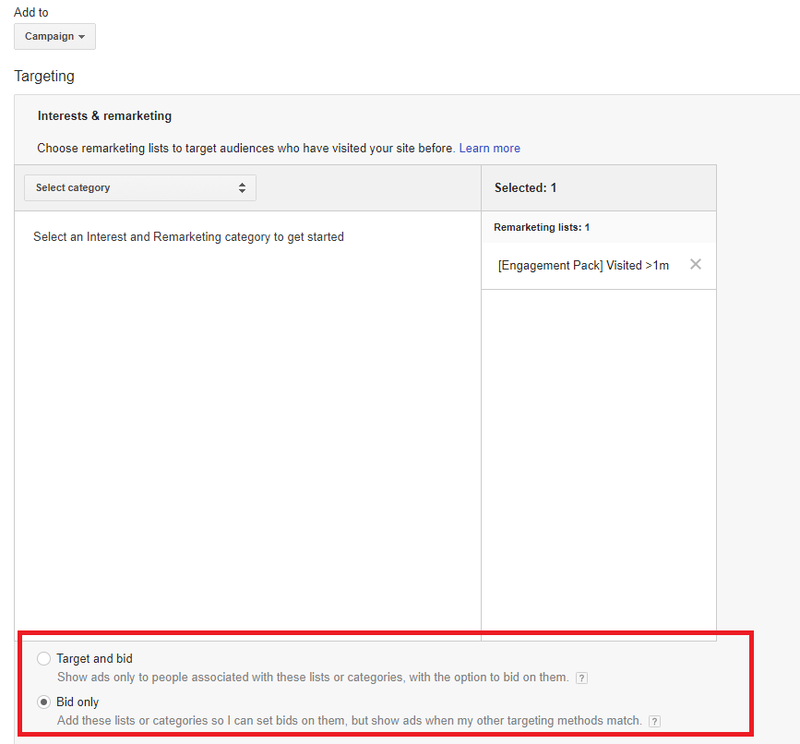 Once you’ve done that, you can return to AdWords and navigate to the campaign you wish to retarget. From there click in the Audiences tab. Here you can now select the Campaign (or AdGroup) along with the Audience and then flick through the rest and hit save. STOP WHAT YOU ARE DOING AND BACK UP! 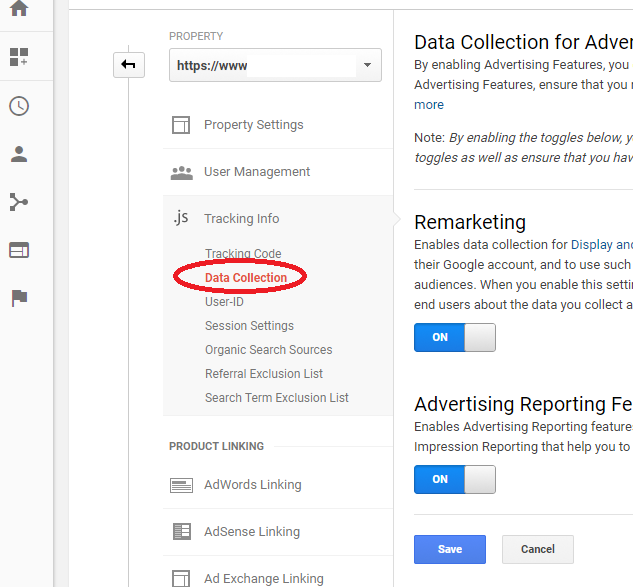 Here’s the most dangerous setting to skip over in AdWords right now. The TARGET AND BID or the BID Only button below. Don’t ask me why, but AdWords seems to alternate which one it defaults to and there really is quite a BIG difference between the two. Choose BID and you can add an incremental bid to your Audience – nice? Choose TARGET AND BID and this campaign from this moment onwards will only ever display Ads on Google Search to previous website visitors. Which in practice means a campaign that you were spending thousands on a day WILL COMPLETELY DIE the moment you click save. So the point of this post is less a tutorial in how to retarget. It’s more a warning. There are valid reasons to set up a campaign and use the TARGET & BID setting. But be VERY clear which you want and why – else you could make a very BIG mistake with a VERY small button. If you are a user of Remarketing Campaigns within AdWords and manage an e-commerce site, you’ll no doubt want to know all about the features of Dynamic Remarketing. These new campaigns are being rolled out across the UK and have been tested to improve conversion rates. Essentially, they work in a similar way to ‘standard’ remarketing, but allow Ads to be tailored to display products that users have previously visited. Here’s the official Google communication http://adwords.blogspot.co.uk/2014/10/dynamic-remarketing-now-available-to.html ..